This natural spray will gently clean your baby or toddler's bottom. bumGenius Bottom Cleaner. 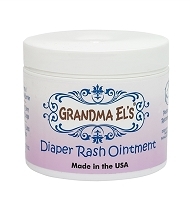 Sooth your baby's bottom during diaper changes! Our fresh and natural spray gently cleans your baby’s bum. Spray on, wipe off. The new formula is 100% natural, free of harsh detergents, and soothing to sore skin. The light, 100% natural Clementine scent cuts down on inevitable odors present during diaper changes. 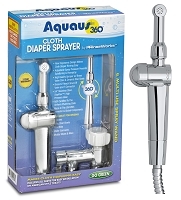 Save money when you use this spray with a wet, reusable, cloth wipe. You can also use bumGenius Bottom Cleaner to boost the effectiveness of your disposable wipes. Helpful when cleaning up toddler accidents or as a personal cleanser for parents. Spray on baby’s bottom. 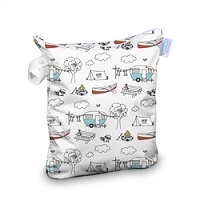 Wipe clean with your favorite cloth wipes!